This meme is a little behind the times, just like bike obstructionists. You live in Bay Ridge, or you work here. You ride a bike. But according to someone else’s preconception of what it means to live and work in Bay Ridge, your safety doesn’t matter. Southern Brooklyn is different, they’ll say. It isn’t a biking area the way North Brooklyn is. And it shows in the physical design of the streets. Bike lanes rapidly expanded during the past 10 years… elsewhere! Manhattan and North Brooklyn now have a dense network of streets that segregate bike traffic from car and truck traffic—which is the best way to keep people on bikes from getting hurt or killed by people in cars or trucks. Surprising no one, southern Brooklyn got left behind, leaving our people exposed to greater risk as they mix with traffic. I wish I could say this was the result of City Hall favoritism toward the trendier parts of New York. But sadly, this is the work of deliberate sabotage by our own political leadership. The 2010 proposal wouldn’t have removed any travel or parking lanes for cars, and would have segregated bike traffic from car traffic. In 2010, the Department of Transportation created a traffic calming and bike lane proposal for the entire length of Bay Ridge Parkway, from Shore Road to Bay Parkway [PDF]. The bike lane would have created southern Brooklyn’s first meaningful east–west bike-lane corridor (where “meaningful” is defined as not having to go all the way to the shore). This was part of Mayor Michael Bloomberg’s safe-streets initiative. The biking network was tiny and almost unusable when he first entered City Hall in 2002, but his second DOT commissioner, Janette Sadik-Kahn, would go on a tear that would eventually add 400 miles to the bike network. 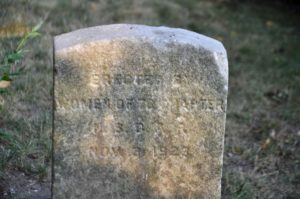 Resistance from elected officials was swift and fierce. Councilmembers Vincent Gentile and Dominic Recchia, and Assemblymembers Peter Abbate and Alec Brook-Krasny, issued a strong joint statement against the proposal, which included the blatantly false description of Bay Ridge Parkway as a “narrow street.” At 50′ wide for most of its length, it’s among of the widest streets you’ll find in New York City with only one travel lane in each direction. Even though their positions are advisory only and can be overruled by city agencies, in practice, community boards in New York City have considerable veto power over street projects. Community Boards 10 (Bay Ridge and Dyker Heights) and 11 (Bensonhurst and Gravesend) overwhelmingly voted in 2010 to oppose the Bay Ridge Parkway project. 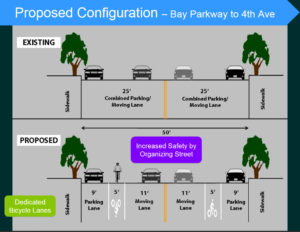 Bike safety advocates on Community Board 10 fought to bring the issue back the following year by bringing a proposal to add a “Class 3” bike route to Bay Ridge Parkway. These aren’t full bike lanes like the ones originally proposed by the DOT, and they wouldn’t have segregated bike traffic from car traffic. Instead, they’re the shared bike/car lanes that basically have the same legal standing as a regular street, but with silhouettes of bikes painted near the edge. 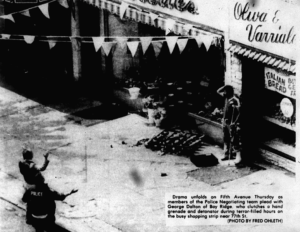 The new proposal was arguably more dangerous for bicyclists than the original. But it had the important effect of getting the attention of the group that had not to this point been consulted—the local bicyclists that would use such a lane. “There was a Brooklyn Paper article about bike lanes before that board meeting,” my Hey Ridge colleague Henry Stewart tells me, “which caused a stir and brought out a bunch of people. It wasn’t, that I’m aware, an organized protest, although I remember members of Transportation Alternatives being present.” The meeting heard statements from at least eleven pro-bike lane speakers [PDF, pages 6 and 7], and “board chair Joanne Seminara called [it] the longest list of speakers CB10 has ever seen for a single agenda item,” according to a Streetsblog account of the meeting. The new measure… also went down in flames! 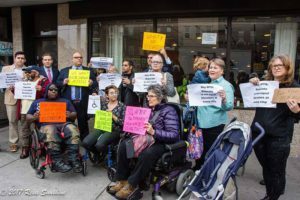 But with the strong showing from bike safety advocates, Community Board 10 found new motivation to come up with a compromise. In 2012, CB 10 proposed its own bike lane locations to the DOT, which were mostly adopted three years later in 2015 (with the caveat that much of the mileage was added as Class 3 routes, without the segregation between bikes and cars). 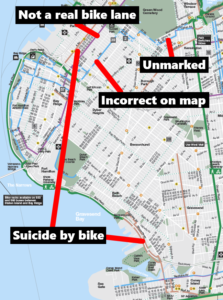 The small biking network that does exist largely does so because safety advocates inside and outside of the community board made their voices heard. But that’s only helped to create a network on an island—there are no bike-friendly streets to get from Bay Ridge to anywhere else. 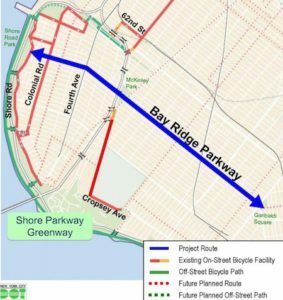 Importantly, seven years after the Bay Ridge Parkway bike lane was proposed, there still isn’t any meaningful corridor to go from east to west and vice versa. Not on Bay Ridge Parkway, not on any street parallel to it. The Brooklyn Paper article that brought out bike safety advocates focused on Community Board 10, so CB10 is where they made their stand. 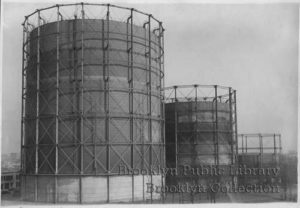 Community Board 11 never got an earful about its role in safety obstruction, and so it hasn’t revisited the issue since squashing it in 2010. On the other hand, Community Board 10 clearly thinks that its work on the matter is done. It hasn’t revisited the matter of east–west corridors. It hasn’t even helped to expand the biking network into Dyker Heights, which it also represents. 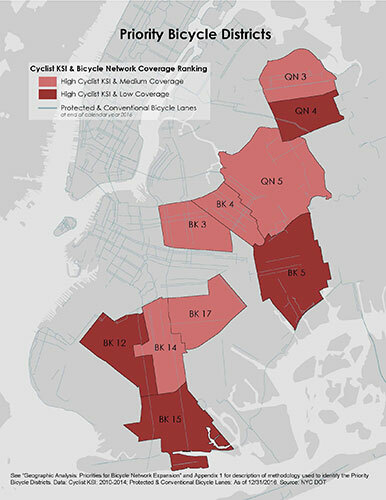 In the DOT’s recent study of bike safety in New York City, it has identified Community Board 12 (Borough Park) as an area with a large number of cyclists injured or killed in crashes with drivers of cars but low coverage by the bike network. (This was where several cyclists were hit Sunday before last by a drunk, unlicensed driver during the NYC Century bike tour. One of the victims remains in a coma.) This classification by the DOT makes it more likely that it will come up with its own proposal for bike-lane expansion and move forward with it, even if CB 12 or the councilmember that ends up replacing David Greenfield objects. Without that designation for Community Boards 10 and 11, the DOT will most likely take a passive course, with no new proposals for bike safety expansion in our area… unless cyclists themselves make themselves heard once again. It worked once; it can work again. There are many ways cyclists can make themselves heard, and they’re not mutually exclusive. 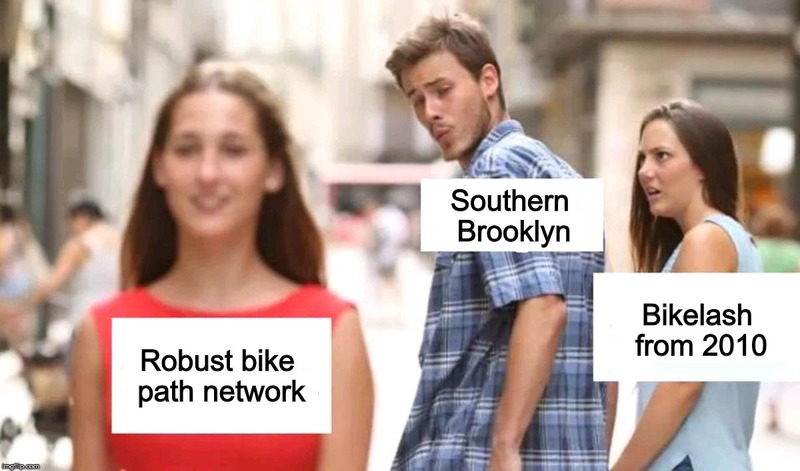 It would be beneficial to demonstrate to the community boards and local councilmembers that there is a constituency for safer biking throughout all of southern Brooklyn. But while we’re doing that, we can also demonstrate directly to the DOT itself that such a constituency exists. 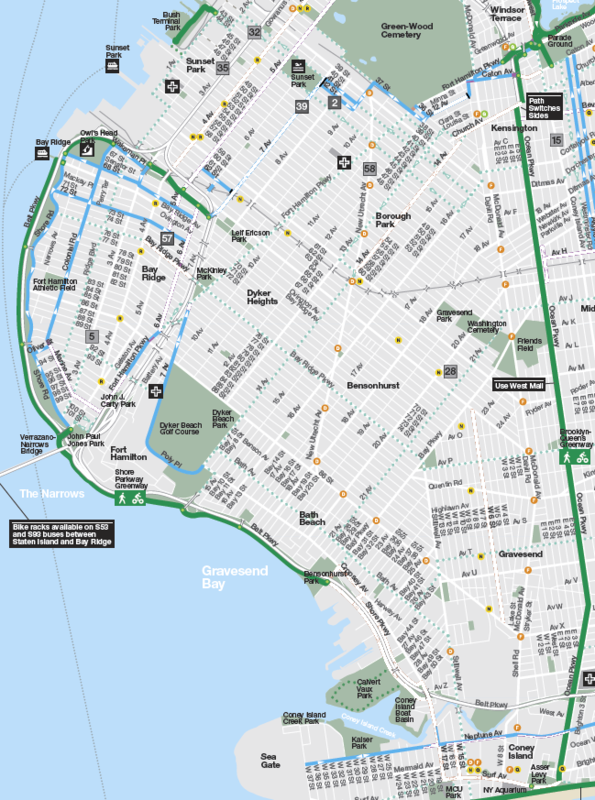 Much of the bike network that exists in Bay Ridge is there because Community Board 10 went back to the DOT with a counterproposal to the Bay Ridge Parkway bike lane. Who’s to say that a group or organization of cyclists and safety advocates can’t present its own proposal to the DOT? We’re the ones most likely to use that network, after all. Gentile, Recchia and CBs 10 and 11 killed the Bay Ridge Parkway bike lane. Why wouldn’t they? Most of them would never use it. It’s time that the DOT heard directly from the people that actually would use it that it’s time for the proposal to come back. A lot of the concern-trolling that came from the council and the CBs at the time said that putting bike lanes on a busy boulevard would be dangerous for cyclists, and that the sensible alternative is no bike lane at all. The DOT should hear directly from cyclists that this is backward—the sensible alternative is a protected bike lane, where bikes travel by the curb, and parked cars physically separate them from moving cars. If that isn’t practical, then a standard bike lane should be the fallback solution. And just because the DOT led with Bay Ridge Parkway doesn’t mean the whole landmass of southern Brooklyn has to settle for one east–west corridor. 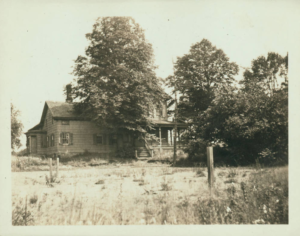 The next meeting is Tuesday, October 3, at 6:30pm. Come out and join us! And if you can’t make it but still want to get involved, reach out to us and let us know. Great coverage. Keep up the good fight! Improving cyclist safety will improve pedestrian safety. This is a huge problem and needs to be addressed. The recklessness of Bay Ridge drivers is deadly. Roads are meant to be utilized by everyone, not just those who own cars.